Definitely not just for the kids, but for the aspiring astronaut in all of us, AstroFest Uludağ and the Olimpos Sky and Science Festival coming up this month are wonderful events to discover more about Turkey and the night sky, with leading experts on all topics related to the cosmos. These experts will be holding talks, workshops and answering questions throughout the festivals, along with devoting the evenings to observing the night sky with telescopes. AstroFest Uludağ returns for a fourth year, running from August 3 to 5 at Karrina Hotel & Spa in Bursa's popular ski resort town with its perfect peaks to watch the night sky from. This annual event is a three-day festival in which participants get the opportunity to learn about the cosmos with seminars and workshops in the day followed by observing the sky with advanced telescopes at night. This family-friendly festival, which takes place in a five-star hotel in the winter ski resort town of Uludağ, will have workshops, guest speakers and nature hikes geared towards both children and adults during the day with observing the constellations at night. This is an opportunity for participants to learn more about the solar system and constellations by having the chance to observe them through telescopes and to ask and discuss any questions you may have about astronomy and the universe with expert professionals. This festival, organized by the Bursa Science and Technology Center, will have leading experts on space, astronomy, science and technology from organizations such as the European Organization for Nuclear Research (CERN) and TÜBİTAK (Turkey's Scientific and Technological Research Council). There will be dozens of simultaneous workshops and seminars for participants of all ages held throughout the first two days with late nights reserved for observing the sky. To close out the event, on the final half-day, Syrian astronaut Muhammad Ahmet Faris will be sharing his experience on spending eight days in space. The Olimpos Sky and Science Festival (Olimpos Gökyüzü ve Bilim Festivali) will take place from Aug. 10 to 12 at this holiday haven that neighbors a beach famed for being the breeding grounds of the protected loggerhead sea turtles. Organized by Kozmik Anafor, Turkey's biggest astronomy platform, the Olimpos Sky and Science Festival has an extensive list of seminars and workshops scheduled throughout the day followed by observing the constellations in the sky at night. 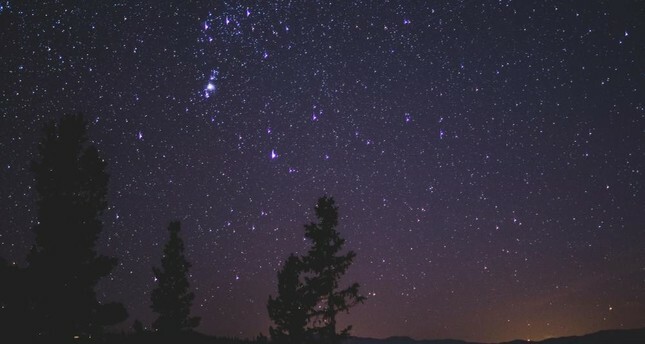 This particular festival happens to be taking place during the Perseid meteor shower, making it that much more of an excellent opportunity to discover the night sky. There will be a wide number of presentations and seminars on topics such as astronomy, space travel, photography, astrophotography, astrophysics, astroarchaeology and life on Mars to name just a few. Meanwhile, on the sidelines there will also be workshops on the solar system, making telescopes, rockets and parachutes and competitions such as water rocket launching, an astro quiz and a photography competition of which the winners will be awarded with a telescope. The festival and accommodation will be based at Don Kişot with options to camp out or stay in a bungalow. The cost for three days' stay, two meals a day and attendance at all the events is TL 290 per person in tents and TL 495 per person for those in bungalows with availability for 400 people. Keep in mind that while children are allowed as long as a guardian accompanies them, this is not a family-oriented event but is an opportunity for scientific learning, which is the main focus. Check out www.kozmikanafor.com to see the full schedule and register for the event. Space Camp Turkey is one of just three of its kind in the world and offers summer programs for children to have the opportunity to learn more about space and being an astronaut. Affiliated with the U.S. Space & Rocket Center in Alabama and located in the high-tech industrial park in the Aegean Free Zone in Gaziemir, this innovative camp uses space technology such as space simulators to educate children on astronomy and science. Participants come from all over the world to take part in their summer camps and training is available in Turkish and English. There are two six-day sessions of their Galactic Summer Camp series left this summer season, starting on July 29 and August 12 respectively. The program is for children aged nine to 15 and will include participating in a simulated space shuttle mission to Mars using 3D glasses. Children will also have the opportunity to learn more about the night sky using powerful telescopes. The cost to take part in the six-day program may be skyrocket high at $800 (TL 3800) but it includes all materials, meals and accommodation and of course this once in a lifetime experience.